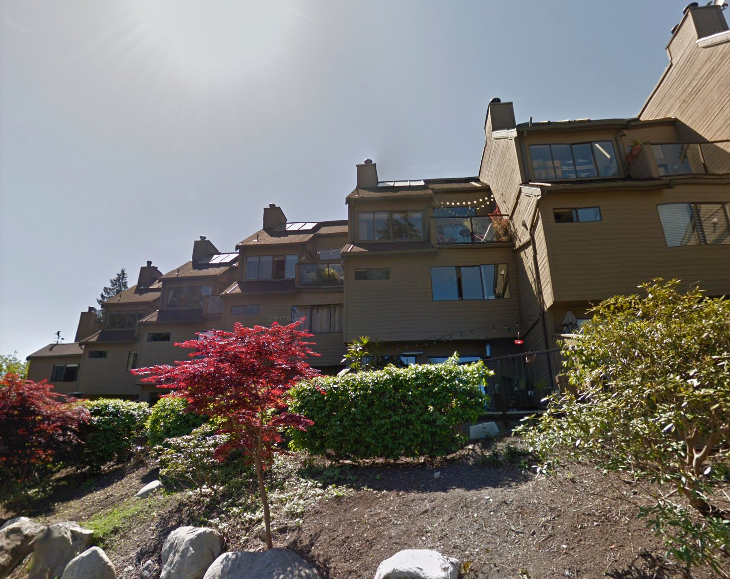 Located in the heart of Deep Cove Village, this spacious 978 sq. ft. two level, 1 bedroom + den townhome offers the perfect lifestyle for the active individual. Updated throughout including new flooring, s/s appliances, new fireplace surrou nd, and upgraded bathrooms. Open and bright main including kitchen with bar, dining room, and living room with French doors to a huge, private patio. The top floor offers a den, and large master bedroom with 4 piece ensuite. In-suite laundry, 1 underground parking, and storage locker. Terrific location across from the park, and next to the terrific Village shops and restaurants.